He also refuted the charge that Congress leaders amassed wealth and made investments in benami properties. 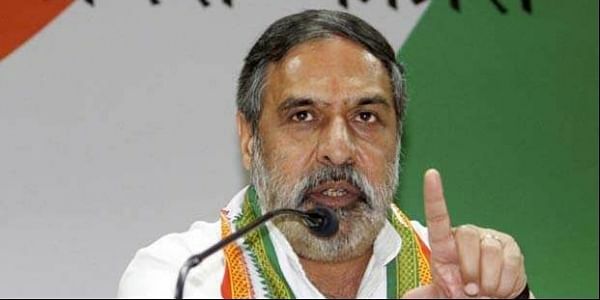 SHIMLA: Senior Congress leader and the party's deputy leader in the Rajya Sabha Anand Sharma today termed demonetisation a "Modi-made disaster" and said it "failed" to achieve its objectives. During a recent poll rally at Sundernagar, Prime Minister Narendra Modi had alleged that Congress leaders were opposing demonetisation and observing black day on its first anniversary, because they fear action on benami properties bought in the names of their drivers, cooks and domestic helps. Sharma said the prime minister should make public within 24 hours the list of Congress leaders having such properties. He said demonetisation has "failed" to achieve its objectives. "And now after one year, the sufferings of the poor have rather multiplied and the prime minister should tell the nation how much fake currency and blackmoney had been seized after his unilateral decision as the official figures give no clear indication in this regard," he told mediapersons. The objective to stop terror-funding has also not been achieved as attacks on the army establishments and camps have continued, he alleged.